The Treasure Keeper Mouse is a breed of mouse found in the Sunken City. It is known to drop a variety of loot. 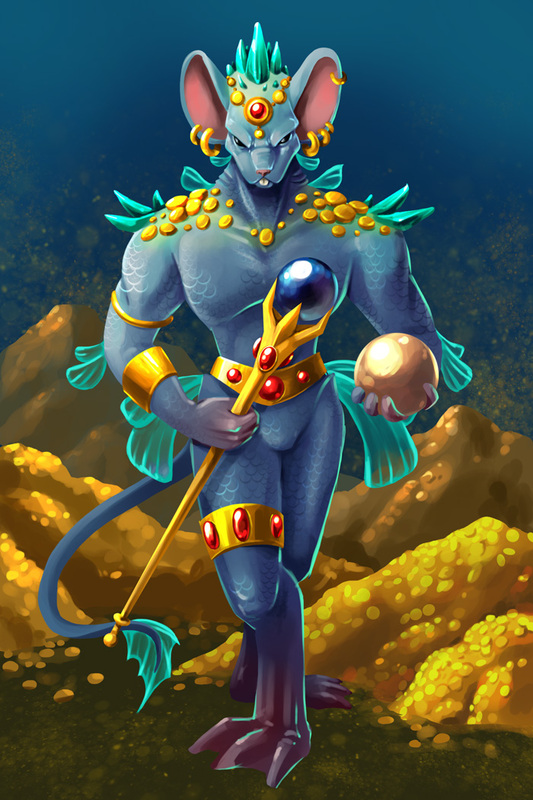 Being paid handsomely, it is also the easiest way to come across vast amounts of treasure, making is life a lot easier if he is strong enough to fend off the other hoarders! The Treasure Keeper Mouse has no specific preference for any kind of cheese. The Treasure Keeper Mouse is susceptible only to Hydro weapons. It can be found in the Sunken Treasure zone while on a Dive in the Sunken City. The Treasure Keeper Mouse drops the Deep, Deep, Deep Egg, the Sand Dollar Egg and the Sunken Treasure Egg during the annual Spring Egg Hunt. The Treasure Keeper Mouse was released 2 July 2014 as part of the Sunken City content.